That is a truly amazing cake. I hope I acquire skillz like one day that so I too can make such awesome cakes. There is one stipulation on the squid cake: it is to be made with butter icing or similar (otherwise I'd happily use the mouldable icing the dude above used). Butter icing and I don't really get along. Butter icing and I have arguments and it gets messy, but I'm happy to work through our differences and one day perfect our relationship. I now have a new set of icing spatulas and piping tools, so hopefully that'll help the reconciliation process. 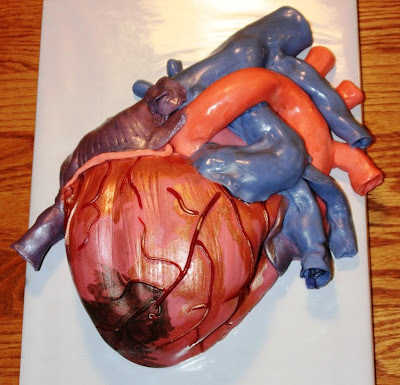 And while we are on the topic of cakes, you know how I just love anatomically correct art? Well there was a feature over at Cake Wrecks on organ-inspired cakes. There was the brain, kidney and heart (complete with infarct!). It's reassuring that there are other people like me out there in the world that like these cakes! amazing... but I don't think I would be able to consume such a product. Good luck with your squid cake maybe you can do something with "ink" - blueberry juice? That squid cake is amazing!! I can't wait to see how yours turns out. Your cakes are fantastic. hahahahhaa, Imagine a party with cakes in form of brains, hearts and suids , It would be crazy but so funny to the children and babies. Hello! I actually made that squid cake! It was one of three cakes that the couple took to the local aquarium for their wedding. For the other cakes, they had one with a shark, and one that looked like a big rock in a tidepool, complete with starfish and sea urchins. I'm glad you liked the squid cake, and good luck with your own cakes! Well, I liked it very good and good quality. Thanks for the sharing, keep sharing. Great post, love your work. Very well thought out and put together. Its interesting post i like and i have watched the videos too and all are up to the mark.. These all are parts of human body and we have to take interest in it its important for all of us..
i enjoyed it Keep up on it. nice post Thanks for sharing the info. 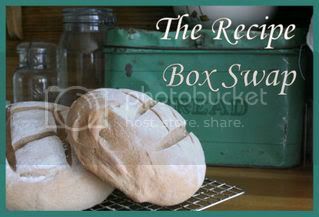 These are great cake ideas, I can't wait to make some of these! Superb site you have here but I was wondering if you knew of any community forums that cover the same topics talked about here? I’d really like to be a part of online community where I can get suggestions from other knowledgeable individuals that share the same interest. If you have any suggestions, please let me know. Appreciate it! This is really very interesting information. Keep posting such an awesome blog post. These insect are good and i like this picture.. and i want to see more pictures.. 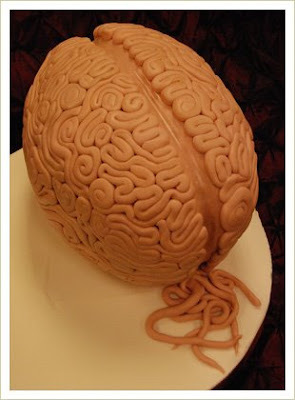 Wow..I never seen such types of cakes..Its really looking real heart,brain..keep posting such interesting blogs..
What an idea of making post it very new and I like your cake theme. Thanks for sharing it. Looks great, i hope it was a huge Success for you. Keep posting, love the blog. Fantastic, the post is really the sweetest on this worthwhile topic. I fit in with your conclusions and will eagerly look forward to your approaching updates. Saying thanks will not just be sufficient, for the exceptional clarity in your writing. I SEO Pakistan | Manpower Services will immediately grab your rss feed to stay privy of any updates. This is the right blog for anyone who wants to find out something about this topic. You definitely put a new spin on a topic that’s been written about for years. Great stuff! I like this picture.. and i want to see more pictures..
Great post wow. Am just amazed with the content you have given here. You definitely put a new spin on a topic that’s been written about for years. Great stuff! ncie posting. What a wonderful piece of information Admiring the time and effort you put into your blog and detailed information you offer ! I will bookmark your blog and have my children check up here often. Thumbs up ! You definitely put a new gyrate on a subject that’s been written about for years. this is something different cakes ever i seen..
Wow !!! this is realy a great cake! Congratulations to the chef! Just hope you can write more articles. Hey! awesome blogs and articles from you, you just rocked the topic, the simplicity and the way of informing to the public and the bond that you form is so wonderful and so creative. Thumbs up to your style of writing. those are some cool cakes, truly creative. Thanks for posting. Interesting information.I really love your awesome collections.Thanks for wonderful sharing. Fabulous idea! I want to say that this article is awesome, nice written and include almost all vital info. I wanted to drop you a quick note to express my thanks. The normal incubation period for anthrax is approximately seven days, but it really will take sixty days or extended for indicators to be developed. I thought I would leave my initial comment. Imagine a party with cakes in form of brains, hearts and suids , It would be crazy but so funny to the children and babies. Thanks for dropping in! A little about me: I'm at the tail end of my PhD, so as an escape from all the science stuff, I like to sew, cook and muck about in the garden. I'm always finding and doing things and forgetting how I got there, so my little blog space is all about noting down my ideas, inspirations, successes and failures to help me remember - and maybe they'll be helpful to you too! I live in the suburbs of Melbourne with my partner, Gib, two cats, three chickens and two mischievous pet rats. Occasionally I'll blog about them and my other passion: karate. I love suggestions, questions and comments, so please don't be shy! Thanks for dropping by! Goats aren't sheep: they are willful, independent and love getting out and doing their own thing. They like to consume anything - food, shrubbery and even fabric. Much like me, really (although in more of a metaphorical sense). Why is the goat in a coat? Not sure. It just rhymed. ... with Bug and Pop! Join in Veg About with Bellgirl! Stencil-along results... just a tad belated! Low priced legumes and the edible heart attack! A happy New Year and a happy birthday to my blog!